How do you measure the movements and social interactions of exotic tropical fish swimming in the murky waters of the Amazon river basin? LIMBS lab members Dr. Manu Madhav and Ravi Jayakumar developed a new tool to do just that for weakly electric fish. With the help of former lab members Alican Demir and Sarah Stamper and in close collaboration with Dr. Eric Fortune from NJIT, Manu and Ravi developed the “grid”, an array of custom electrodes that sits just below the surface of the water, along with a custom software system that “triangulates” the locations of individual fish. This was featured in the the Johns Hopkins Magazine, Winter 2018 Edition. M. S. Madhav, R. P. Jayakumar, A. Demir, S. A. Stamper, E. S. Fortune, and N. J. Cowan, “High-resolution behavioral mapping of electric fishes in Amazonian habitats,” Sci Rep, vol. 8, iss. 1, 2018. LIMBS Lab summer REU student Brittany Nixon won Second Place out of 15 talks at the annual JHU / LCSR Summer REU Program for her excellent oral presentation entitled “A Mathematical Model of the Fish Tracking Response of the Weakly Electric Glass Knifefish”. Special thanks to her mentor Ismail Uyanik. Left: A day in the lab. Right: Brittany & Ismail at Brittany’s poster the day before. Brittany joins a long list of successful REU students from the LIMBS lab! Each year the Society of General Physiology names four students as SGP Scholars, one each from four MBL advanced training courses at Woods Hole. This year, Manu Madhav was selected to receive this honor from the Neural Systems and Behavior course. Congrats Manu! On July 6, 2016, Erin Sutton successfully defended her PhD Dissertation “Bioelectric Sensing and Navigation: Multimodal Control in Electric Fish and Endovascular Interventions”, becoming the 10th PhD graduate of the LIMBS Laboratory. Robert Nickl won the 2017 Link Foundation Advanced Simulation and Training Fellowship for his project entitled “A Hard-Real-Time Juggling Simulator To Shape Human Sensitivity to Cues and Coordination of Muscles”. Manu wins NDI Kavli Postdoctoral Award! Dr. Manu Madhav won the 2017 Kavli Postdoctoral Fellowship from the Neuroscience Discovery Institute for his proposal, entitled “Stabilizing the cognitive map with real-time feedback in virtual reality to quantify the influence of optic flow”. Ravi Jayakumar passes his GBO! 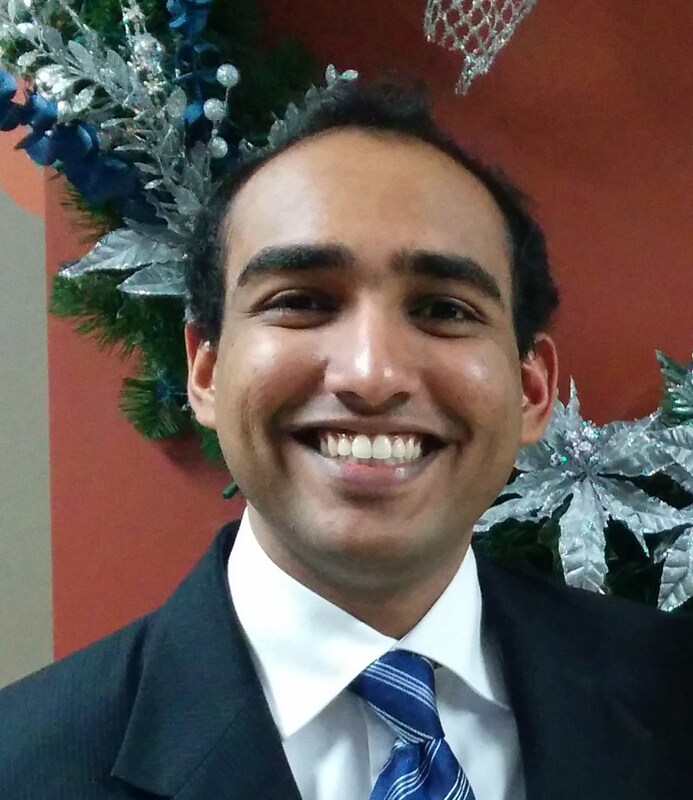 Congratulations to Ravi Jayakumar who passed his Graduate Board Oral exam on February 14, 2017. Welcome to PhD Candidacy, Ravi! Luke Arend took First Place in the Final Presentations at the LCSR’s 2016 CSMR REU program. Congratulations Luke! Erin Sutton passed her GBO! On on Feb 9, 2016, Erin Sutton passed the dreaded Graduate Board Oral Exam…. Congratulations, Erin! !